Every once in a while you get a product that makes you realize you’ve been missing out on something for a long time. That could be upgrading to a new 4K monitor, switching to an SSD, or in today’s case, switching to truly premium speakers. While high-end speakers may not be practical or worthwhile for everyone, for those with a discerning ear and deep pockets, they can make all the difference in the world. 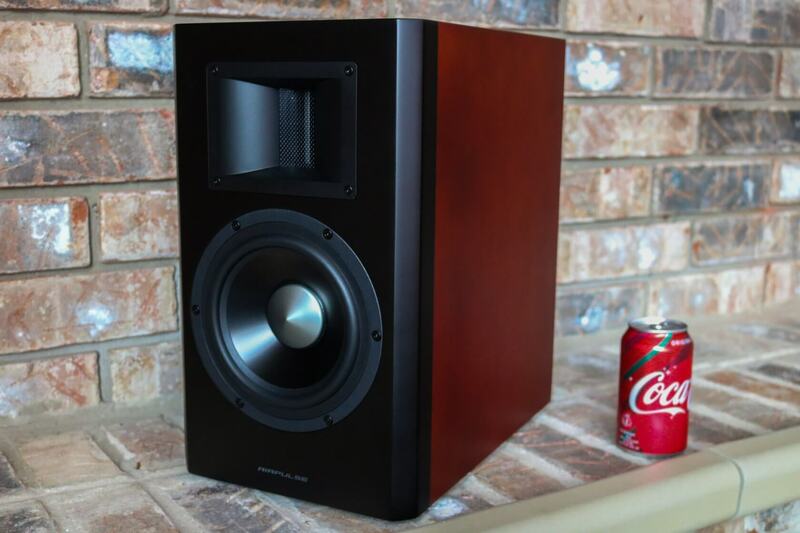 A while back we reviewed the AudioEngine A5+ Wireless and while they were a great set of speakers, as with all audiophile gear, you can always spend more and move up in quality. Today I’ll be testing out the AirPulse A300 by Edifier. Coming in at $1,100, this two channel bookshelf speaker pair is aimed at the more demanding user and sit at the top of Edifier’s speaker lineup. Let’s see if they are worth that price tag and what you get when you move up to this price tier. The A300 were developed by famous audio engineer Phil Jones. They feature 6.5″ woofers with 65mm ribbon tweeters as well as a wide variety of analog and digital inputs. The ribbon tweeters are an interesting feature, so I’ll take a moment to explain how they work and why they are common on high-end audio gear. Traditional speakers work by pulsing a cone in and out with electromagnets according to the music. Ribbon tweeters are different in almost every way. The sound is created by vibrating a piece of thin plastic film with a microscopic coating of aluminum vapor. These strips aren’t physically held in place like dome tweeters which allows for a greater degree of movement. Instead, they are suspended within a magnetic field. They are also up to 10x lighter which means there is less resistance to motion when compared to a traditional tweeter. Ribbons may sound superior, but they aren’t perfect. Since they are extremely light and don’t have a normal voice coil, their internal resistance is very low. This makes driving them difficult without a specially designed amplifier. Being so small, they can’t move a lot of air either which means they are only effective at high frequencies. To compensate, a wider range woofer is required. All that being said, ribbon tweeters are a considerable upgrade. However, their high cost means they are only found on very expensive systems. Back to the A300 now, the speakers themselves measure 225mm x 385mm x 340mm and weigh in at 53lbs together. They have a total output power of 160W which is split 70W for each woofer and 10W for each tweeter. The amplifier has an SNR of 90dBA and the whole system has a frequency response of 40-40KHz. I’ll get into the frequency response later on. The speaker cabinets are made of 25mm MDF finished with a cherry veneer. They are only available in this finish, but I think it looks great, so I’m not too worried. These speakers don’t come with a front cover either, but I think most people who spend this kind of money on a set of speakers would want to show them off. Moving around to the back, we find an air inlet on both speakers for improved bass response. The right speaker has all of the connections and circuitry, while the left speaker is passively connected with a single cable. To connect the two, there is a 16ft interconnecting cable. It looks like a MIDI connector, but those certainly won’t be able to deliver 80W, so your mileage may vary if you want to replace it. I would have liked to have seen a more standard connector here like traditional banana plugs. This also means you may not be able to do an in-wall installation since I don’t believe the included cable is certified. Looking at the back panel, we find many inputs including balanced XLR, RCA, USB, and Optical. The coax connector would be used to attach a dedicated subwoofer if you wanted to improve the bass response. The A300 also has a built-in Bluetooth receiver for wireless playback. For those interested in the technical details of the speakers, they use the PCM9211 Digital Audio Transceiver and TAS5756M Class-D Amplifier. The rear also has volume adjustment as well as low and high frequency EQ settings. I always prefer the volume knob to be on the front though since that makes it much easier to find. I found that the bass and treble adjustments didn’t do too much since they only allow up to 3dB adjustments. These speakers are terrible fingerprint magnets, so make sure you get some white gloves to handle them during installation. Also included in the package is the very thick interconnect cable, a remote control, an optical cable, an instruction manual, a high-quality RCA cable with gold plated connectors, and an RCA to 1/8″ adapter. In what seemed like a small mishap with our review unit, we received the user manual for the A100 instead of A300. The remote was also a bit of a letdown. It looks fancy, but is actually made of cheap plastic and feels flimsy. I would have much preferred a metal design given the price point for these speakers. The speakers have four rubberized feet on the bottom. 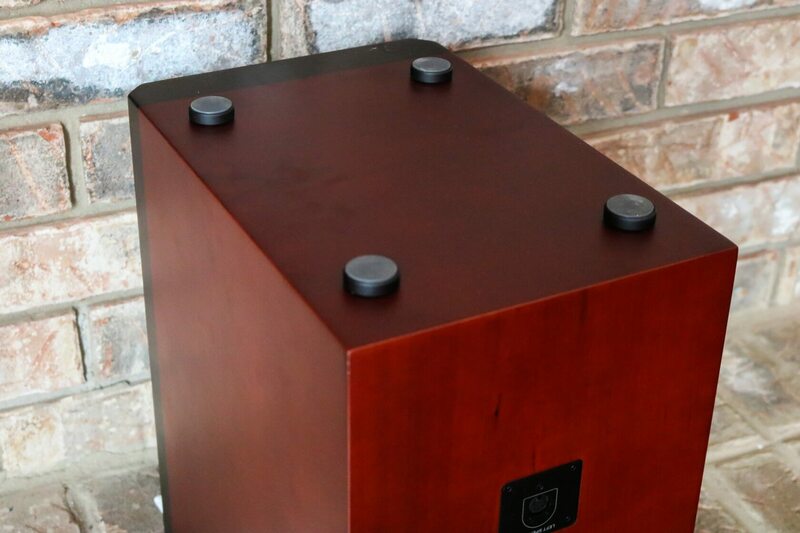 Depending on your setup, you will probably want to place these speakers on some sort of stand. They sound best when placed at ear level so if you don’t have stands, you can place a wedge in the front to angle them up slightly. Edifier also makes a speaker stand for the A300 that sells for $0. On to sound quality now… judging audio quality is always hard given its subjective nature. I don’t currently have any similarly priced speakers to compare the A300 to, so I compared them to the Audioengine A5+ which happen to be highly regarded $500 speakers. So here come my impressions of what you get when you move up the price tier a notch or two. Starting with some objective analysis thanks to our friends over at miniDSP. One important characteristic of a speaker or headphone system is how accurately it reproduces sounds. This is called the frequency response and ideally, it should be very flat. That means the sound coming out of the speaker exactly matches the signal going into it. To test this, you play a known audio signal through the speaker and measure the amplitude of the signal coming out. 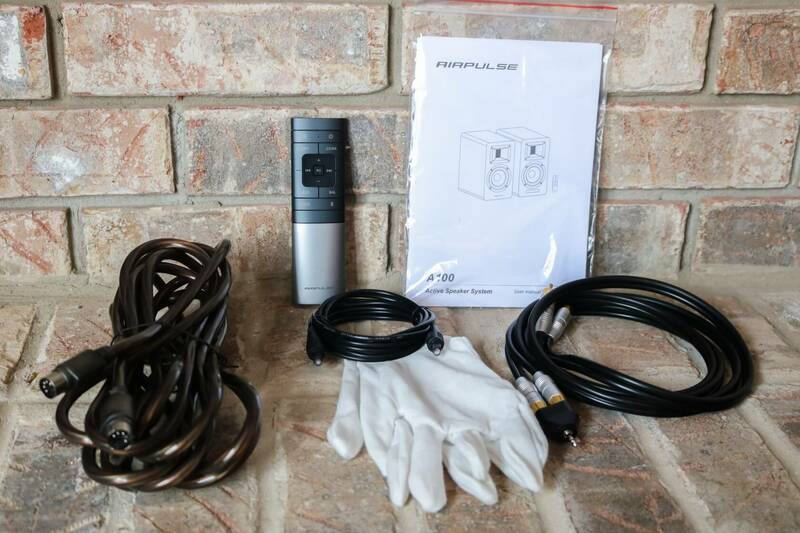 To do it accurately, you need a specialized measurement microphone that has been calibrated to ensure it has a perfectly flat frequency response itself. I used the Room EQ Wizard (REW) to produce the frequency sweep and perform the analysis and the UMIK-1 from miniDSP as my measurement microphone. This first graph represents the frequency response from 20Hz to 20KHz. The A300 isn’t designed to go below 40Hz so that dip can be ignored. The human ear can only hear up to 20KHz on average so any results above that range won’t matter either. I measured with a signal targeting 80dB and the microphone placed 1ft from the speaker. This produced a very flat response. There is some slight boost in the lows and a small roll off up towards the high end of the spectrum, but overall I’m impressed. If you find the low end to be too much or the high end to be lacking, the speakers do have low and high EQ adjustment knobs. Next we have a look at the crossover between the ribbon tweeter (blue) and woofer (green). I conducted this measurement by placing the microphone 1/2″ from the the drivers and running through the sweep to find what range the driver is most active in. This measurement isn’t as precise as the full spectrum sweep since there is always a bit of bleed between the two drivers no matter how close you place the mic. However, we can see that this point for the A300 is around 2 kHz. For comparison, the AudioEngine A5+ had a full range frequency response that was not quite as flat. There was a much more pronounced cut in all frequencies above 1kHz, but it stayed a bit tighter at lower frequencies. On to the more subjective listening experience, as expected the AirPulse A300 were a pleasure to listen to and I was sad to see them go when the evaluation period was over. 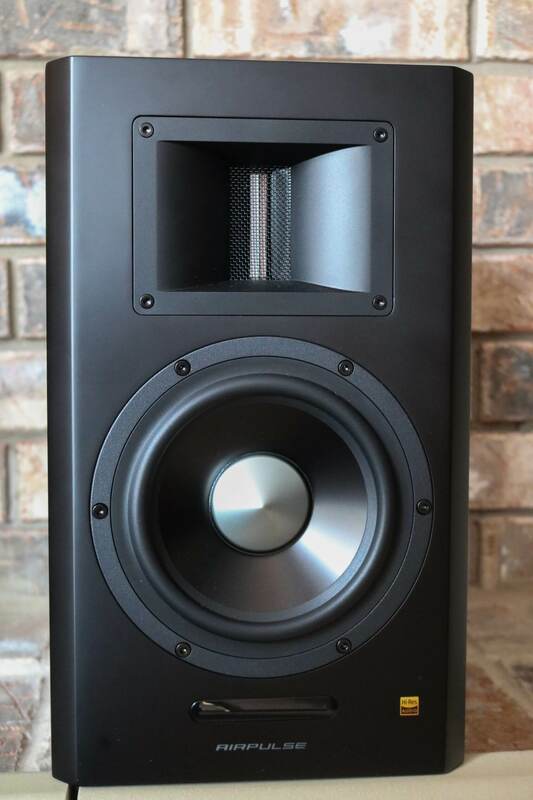 Describing a set of speakers on their own won’t mean much, so I’ll compare them again to the A5+ as an example of what an extra $500 gets you. Before I say anything, remember that the A5+ is an outstanding pair of speakers themselves and this is a bit of a lopsided comparison. These results don’t take anything away from the A5+, they just add to the quality of the A300. To perform these tests, I listened to the same music on both speakers at the same volume using the same DAC. I used an audio switcher to perform A/B testing during songs and was able to tell them apart after just a few minutes of listening. While both speakers have very wide soundstages, I found that the A300’s were more vibrant and clear. The A5+ tended to do well with positioning on the far left, right, and center, but some detail was lost in between. The soundstage on the A300 was more cohesive from left to right and a bit more broad. Thanks to the ribbon tweeters, the high end really sparkled as well. Cymbal hits had an extra shimmer that got lost on the A5+. I also noted that there was more definition and distinction between guitars and drums on the A300 compared to the A5+. This is a difficult thing to achieve since the middle frequency range often gets very crowded in rock and pop music. 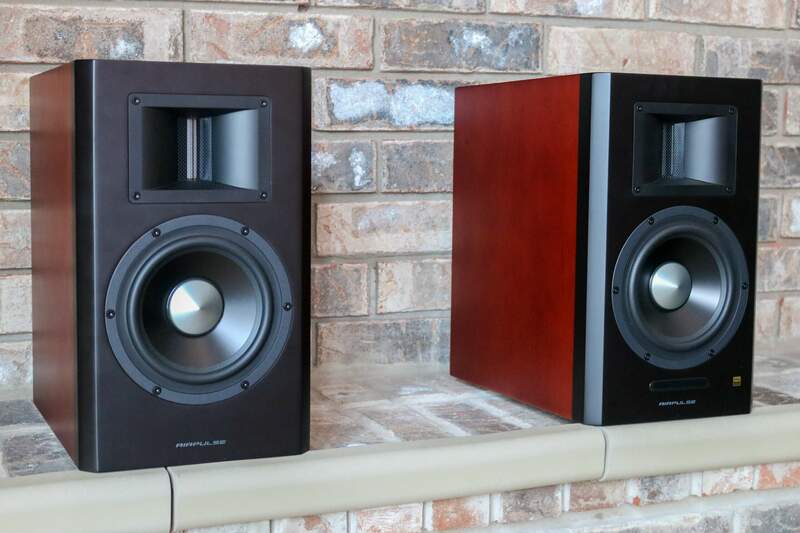 Both speakers can get painfully loud and easily deliver room filling sound. When it comes to vocals, the A5+ emphasized them a bit better in terms of loudness, but the A300 was much more clear. I ended up turning the high EQ setting up slightly on the A300 to compensate and was very pleased. The woofer on the A300 is a bigger speaker, so naturally it sounded better in the low end than the A5+. Both were equally punchy on bass drum hits, but lower frequencies between 50Hz and 200Hz were noticeably more muddy on the A5+. Overall, the A5+ sounded more mellow than the A300 which was clear and crisp even into the top of its range. I would say the A300 sounded more like you were stepping into a smooth bubble of sound instead of just listening to two individual speakers. To wrap it up, it’s hard not to be impressed by the sound quality of the AirPulse A300. When you are spending more than $1,000 on a pair of speakers though, anything less would be a disappointment. While the jump from $500 speakers to $1,100 speakers was very noticeable, I’m sure there are $5,000+ speakers that make the A300 sound terrible just the same. You can keep going up and up in price including some speakers in the 6-figure range. How do you know when is enough? 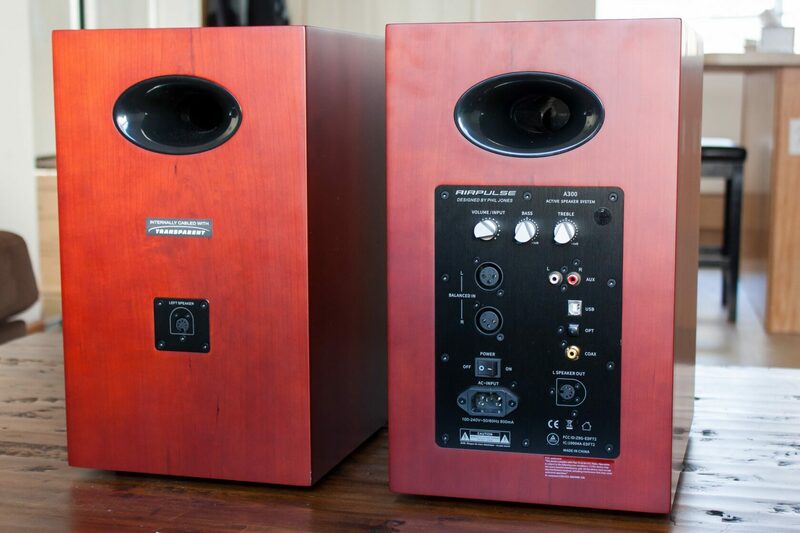 To get the best out of high quality speakers like these, you need high-quality inputs. I’m not talking about $400 power cords or gold plated USB cables; I mean lossless high-bitrate audio. If you buy these speakers just to listen to YouTube music videos, you’re wasting your money. These speakers will make low-quality recordings sound really bad and bring out the detail in high-quality ones. The AirPulse A300 are not perfect though. You’ll need a stand for these and the one that Edifier sells is an extra $0. Another complaint I had is the non-standard interconnect between the two speakers. While it’s probably fine for most setups, it may mean these speakers are not an option for larger, more spread out ones. The included remote control also feels like a toy..
It’s hard to give speakers an objective score and definitive recommendation, but thankfully Edifier offers a 30-day return policy if you don’t like them, so you can give them a try if they’re within your budget. So if you’ve had some nice speakers in the past and are looking to upgrade, you won’t be disappointed with the AirPulse A300. If possible, I’d recommend finding a pair at a home theater store and scheduling a listening session to make sure they are right for you. The asking price is steep, but this is one case where you definitely get what you paid for.